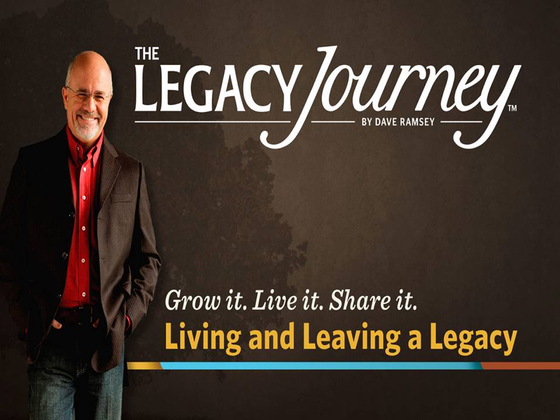 As part of the Financial Ministry, Liberty Church hosts two of Dave Ramsey’s financial courses a year – Financial Peace University in the spring and The Legacy Journey in the fall. Dave Ramsey is a personal money management expert, a popular national radio personality, and a New York Times bestselling author. Liberty Church has been walking people through the Dave Ramsey courses for over 15 years. Our classes watch Dave’s video in a large group setting and break out into small groups for in depth discussion. Registration for FPU begins in January and registration for Legacy is in late August. The Legacy Journey is a seven-week, biblically based class that teaches you how to truly live and leave a legacy for generations to come. This class will lead you deeper into investing, basic estate planning, purposeful living, safeguarding your legacy, and discovering the keys to generational wealth and true generosity. Through video teaching, class discussions and interactive small-group activities, you’ll learn a biblical framework for living intentionally now so that later you’ll be able to leave a legacy that will secure your family’s future and make a lasting impact on the world around you.